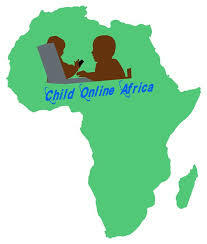 The Internet is increasingly becoming a dangerous place for children and young people whose online profiles often attract sexual predators, scammers and pedophiles, a reason for which Child Online Africa-COA promotes child protection, child wellbeing and digital literacy. The essence of what we do is to warn that personal information posted or used in a third party applications online can lead to abductions and sexual exploitation of children and young people. What we need not take for granted as a country is that predators and pedophiles are finding new ways and new opportunities to network with each other on how to exploit young people. Young girls who are innocently posting very personal information, or their identities, on these sites are setting themselves up for disaster though their aim was to seek validation. It is sad to note that in recent times, we have been saddled with stories of girls being kidnapped by one person or group of people whom it has been confirmed have been in communication with the victims prior to the day each of them was seized. These perpetrators use information which is publicly divulged in online profiles and social networking sites to identify potential targets. These reports have raised fears about Internet use by children and adolescents and about the safety of specific online activities such as interacting online with unknown people, posting profiles containing pictures and personal information, and maintaining web pages at social networking sites. The Takoradi girls situation could happen to any of us because communication online can be pervasive sometimes. Often, the communication is targeted with less control until the intended objective is achieved. We can all be gullible at some point in our lives when using digital technology and this seems to have been the case in the girls’ situation and the public has not helped much in the case. It is important that people become self-aware and take responsibility for their own security. Secondly, parents/Guardians/Teachers must educate their children to be vigilant and weary of strangers. Above all, we should be bold to question suspicious characters in our neighborhoods, schools and public spaces. However, it is our collective responsibility to educate them on the threats they may experience and also protect them to make the online environment as safe as possible. Where something untoward happens online we should provide clear and effective reporting and support mechanisms so they understand where to turn to for assistance.